WAS $25,990, PRICED TO MOVE $1,700 below NADA Retail! GREAT MILES 11,945! 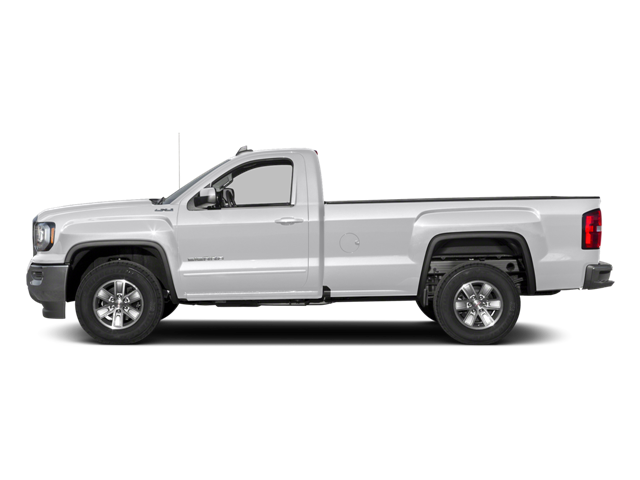 TRANSMISSION, 6-SPEED AUTOMATIC, ELEC... SIERRA FLEET CONVENIENCE PACKAGE, ENGINE, 5.3L ECOTEC3 V8, WITH ACTIVE..
GMC Sierra 1500 with SUMMIT WHITE exterior and JET BLACK / DARK ASH interior features a 8 Cylinder Engine with 285 HP at 5300 RPM*. ENGINE, 5.3L ECOTEC3 V8, WITH ACTIVE FUEL MANAGEMENT, DIRECT INJECTION and Variable Valve Timing, includes aluminum block construction (355 hp [265 kW] @ 5600 rpm, 383 lb-ft of torque [518 Nm] @ 4100 rpm; more than 300 lb-ft of torque from 2000 to 5600 rpm), SIERRA FLEET CONVENIENCE PACKAGE includes (DL8) outside heated power-adjustable mirrors, (A91) remote locking tailgate and (AQQ) Remote Keyless Entry. For Regular Cab also includes (A31) power windows. WINDOWS, POWER with driver express up and down and express down on all other windows, TRANSMISSION, 6-SPEED AUTOMATIC, ELECTRONICALLY CONTROLLED with overdrive and tow/haul mode. Includes Cruise Grade Braking and Powertrain Grade Braking (STD), AUDIO SYSTEM, 4.2" DIAGONAL COLOR DISPLAY, AM/FM STEREO with USB port and auxiliary jack (STD). Reduced from $25,990. This Sierra 1500 is priced $1,700 below NADA Retail. Pricing analysis performed on 10/1/2018. Horsepower calculations based on trim engine configuration. Fuel economy calculations based on original manufacturer data for trim engine configuration. Please confirm the accuracy of the included equipment by calling us prior to purchase. Hello, I would like more information about the 2017 GMC Sierra 1500, stock# P1257. Hello, I would like to see more pictures of the 2017 GMC Sierra 1500, stock# P1257.